Charleston’s SUSTO began as Justin Osborne’s solo project as he was returning to the States from a stay in Havana, Cuba, but soon morphed into something much larger than himself. The band’s mix of alt-country and psych-rock brought to life by their latest and second record, 2017’s & I’m Fine Today, and a nonstop tour schedule has gained them a loyal following over the last several years. Earlier this year, the band dropped a digital-only release, SUSTO Stories, that offered commentary on their creative process and career as well as unique takes on some of their best tracks. We talked to Osborne about the Charleston music scene, release of SUSTO Stories and the catharsis that can occur in songwriting. Magic City Bands: You guys are actually the second Charleston band we’ve interviewed in the last few months. Have you guys always been in that area? Justin Osbourne: Yeah, SUSTO is a band that very much started in Charleston. None of us grew up here really. We all either moved here after college or for college or around that age. I was in another band when I moved to Charleston that ended when I moved here. I started SUSTO and we’ve been based here since the beginning. It’s a big part of who we are and what we sound like as a band because of the type of city it is and the type of music scene we have. We’re like a beach town, but we’re also in the South. It’s a small urban environment with a lot of artist around. There’s a beach vibe, a roots vibe, and a big Americana scene. You have bands like Shovels & Rope here, and The High Divers fall into that as well. 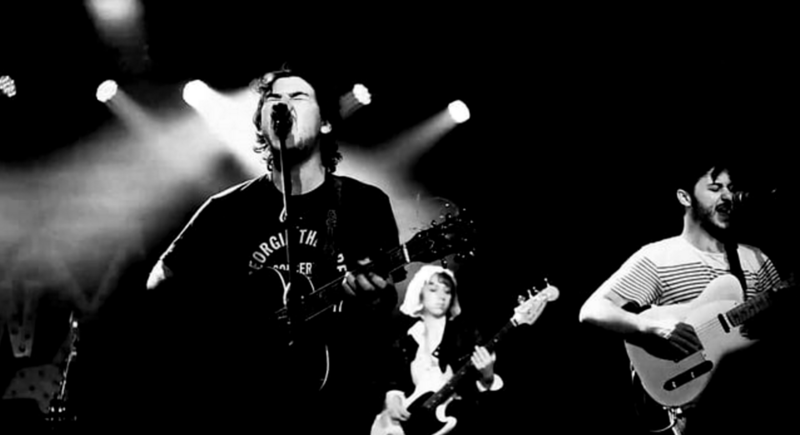 But there’s also a great indie rock scene and we float somewhere between those two. MCB: It’s interesting because with Charleston’s historical context, the city seems to have a lot of bands with this timeless sound. A lot of harmonies and more organic instrumentation where you can’t really place what era the music is in. JO: Honestly, there’s also a great electronic rock scene here, too and great jazz scene and hip hop scene. A lot of the bands record with the same producer, so bands around town seem to influence each other. Everyone’s listening to each other and supporting each other, too. It’s great. I feel really lucky and stoked to be living in a town that has an active music scene that’s not been jaded by the industry. There are a lot of bands and a lot of fans, but there’s not a ton of labels or publishers or anything like that. It makes it harder for bands to branch out. You have to tour and go places where those kinds of places exist, but it also keeps our little scene pure in a lot of ways and we get to work things out ourselves as a community. I’m really appreciative of it. 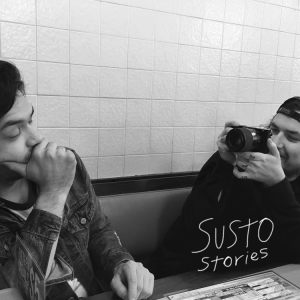 MCB: One thing I noticed about the SUSTO records is that they have very much a live vibe. It seems very of-the-moment and what’s going on in the scene it feels like. JO: I’m glad it came across that way. We definitely were trying to channel everything we could and make the best record with the people we’re surrounded with. It was a fun record to make and a really fun album to tour on. It’s made our set dynamic in a totally different way. Our first album was still a little spooky, but it leaned closer to alt-country. With the most recent one, we did experiment with electronic instruments and synthesizers and some groovier undertones. We’re excited to be working on a new one, too. We’re just now starting to work on our third record. We want to continue to keep it new and fresh, but also just be what we are and keep the storytelling aspects of what it means to be an American rock band. MCB: You released the Stories record earlier this year. There’s obviously a ton of commentary albums on Spotify, but it’s interesting to see it framed in the context of stories followed by slightly different versions of the songs. It does feel like a show in that sense. JO: We definitely wanted it to feel like a set if you were at a stripped-down, VH1 Storytellers-type event. It gives some background or at least some kind of dialogue before each song. Not all of the commentary directly says what the songs are about, but it touches on the feelings and emotions that the songs are born from. That record started out as a YouTube series and people responded to it really well. At first, it was just a way for us to be giving people content because you have to keep people interested in this day and age, But the response was so positive that we were excited to put it out as its own digital release. It was fun to give the songs this other different life because we have the recorded version, but doing the songs in this stripped-down way and getting a chance to explain the meaning behind the songs a little bit is an added tool you’re giving to the listener to get closer to the music. MCB: You talk a lot in those introductions that you don’t try to shy away from saying what you’re feeling in a song. There’s definitely a wide range of heartbreaking material like the “Hard Drugs” songs as well as some songs that do take on a more cinematic vibe. JO: Songwriting for me is more or less like my free therapy, and I think it has been for a while. I started writing songs from an early age. Life starts to hit you at an early age too. We all have to deal with things in our families or whatever. Even if it’s something just with relationships, when you’re young and still trying to figure out your emotions. I felt songwriting was a way to deal with that kind of stuff and sort through my thoughts. Because of that, the realer the events get, the realer the songs get. You develop this thing you lean on to help get you through situations. As I continue to write songs, I continue to do that. I think that’s why some of the songs can be heartbreaking- it’s because they’re an exercise in me trying to work through something that’s really hard for me in my life. And I don’t think I’m the only person that does that. A lot of songwriters seem to do that. Some of the stuff can get kind of sad, but those are some of my favorite songs. “Hard Drugs” is probably my favorite song we have as a band so far. I think the reason is because I was dealing with something with a person that was close to me and I didn’t know how to get closure or talk about it. When the song came out, it felt like I had gotten this thing out like I had exorcised this demon that was inside me. This closure I couldn’t get, these things I couldn’t put into words, all of a sudden it was there in song form. All the emotion I was feeling and all the intensity was wrapped up in some words and some chords. It’s a really freeing feeling when you achieve that. Every song doesn’t give you that feeling, but it can be incredible to work through something like that. SUSTO plays Saturn on Sunday, May 6th with Pony Bradshaw and Ryan Sobb opening. The show is 18-and-up, and starts at 8 p.m. Saturn is located at 200 41st St South, Birmingham, AL 35222. When Chris K. Davidson isn’t writing about music, he performs in a band called Waterwells. You can find on Instagram and Twitter @chriskdavidson.